The festival is completely free of charge: free entry for all attendees for all sessions on a first-come-first-served basis. Just come to Perugia and enjoy the festival. Are you looking for information, a festival brochure, a place to write? 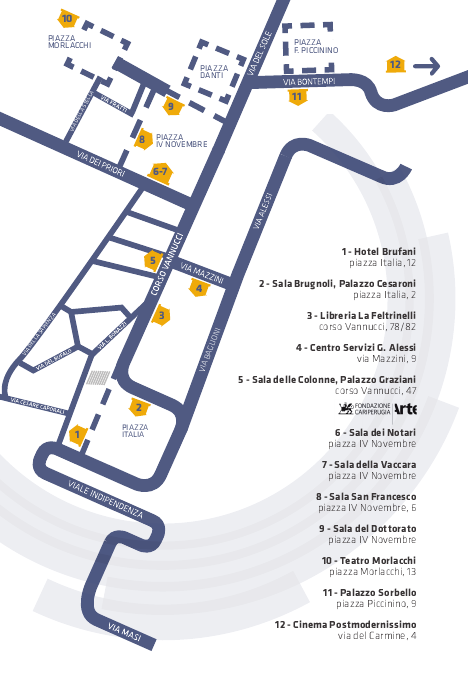 The festival Press Room and Info Point (both open daily from 09.00 to 19.00) are in the Hotel Brufani in Piazza Italia, Perugia. Here is the festival programme in an easy-to-read flip format. Here is the festival speakers page, with the sessions of each speaker listed at the bottom of his/her speaker profile, and here is the full festival programme, divided into 18 categories for ease of reading. All sessions are held in English or Italian, depending on session speaker composition. For selected sessions English-Italian simultaneous translation is provided free to attendees. The language of each session (and whether simultaneous translation is provided for that session or not) is indicated in the festival programme and in the festival brochure. A total of 85 sessions were provided with simultaneous translation at the 2018 festival. Please note that the simultaneous translation is not available via IJF live streaming or on the IJF videos. 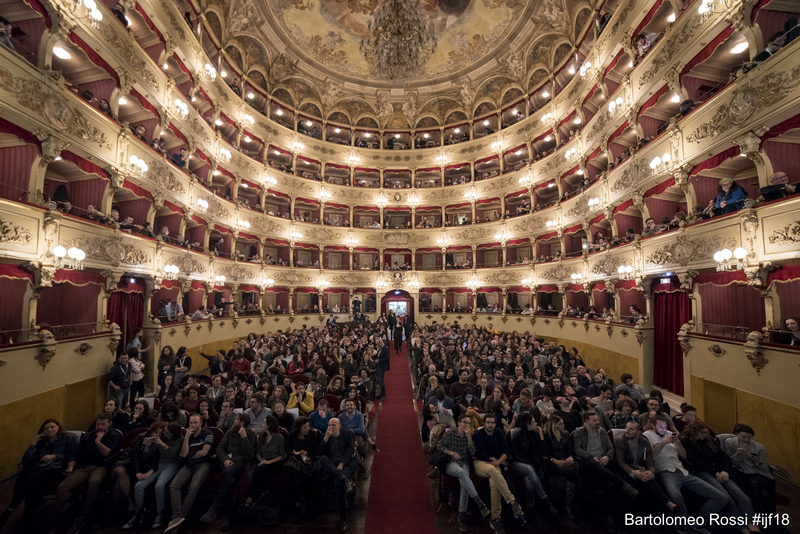 We have a smartphone app you can consult whenever you need information about ongoing sessions, about how to find a given venue, or about #ijf19 speakers. You will be able to access all speaker profiles and the sessions that each speaker will be involved in. In the Map section you can discover where you are in order to choose which session is most interesting and easy to reach depending on your position. A Personal Area will allow you to create your Wish List and be notified before the session you have selected begins. Worried about missing some festival sessions? Too much interesting content to follow directly? No problem! We have the video platform media.journalismfestival.com, offering live streaming and videos on demand for all 2019 festival sessions. Plus an archive of all sessions from previous festivals back to 2013. You will also be able to follow all sessions live-streamed on the festival YouTube channel and on the festival website: videos are embedded at the bottom of each session page in the programme. The videos can be downloaded and used without restriction. Do you need a lift to get to Perugia? Or do you have space in your car to offer festival participants? Use this Facebook group to meet up with other people heading to the festival.